In my last post, I shared with you my experience going up Mount Pinatubo; the journey, the anecdotes, and, of course, the pictures. Hopefully, you found it interesting enough to plan a trip yourself! If you aren't sure how to begin, I would suggest getting a Mount Pinatubo tour package like the one we signed up for at TRIPinas. They took care of us--from arranging transfers to and from Manila, paying for the necessary fees (environmental fee, etc), getting us a 4x4 to take us to the jump-off point, and providing us with a tour guide. That's already half the battle won right there. 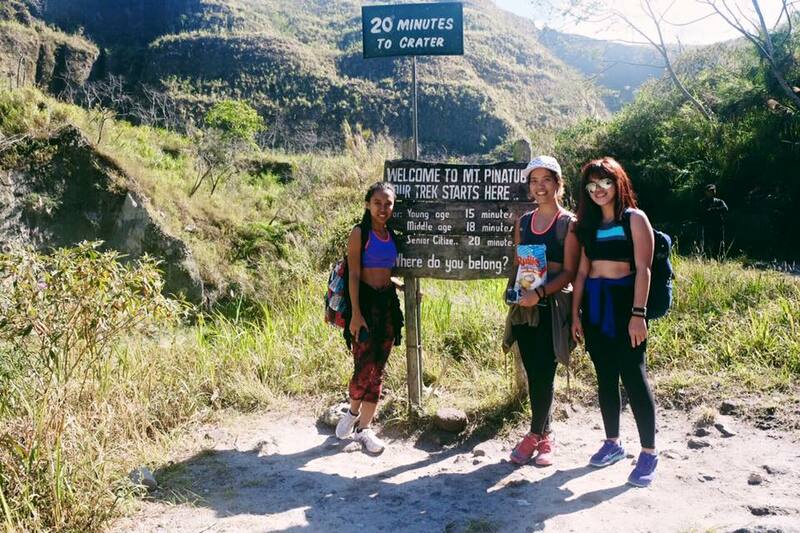 Once you've finalized your plans for Mount Pinatubo, what exactly do you bring? It's going to be a long journey on foot once you've reached the jump off point, so you don't want to strain yourself too much by overpacking. 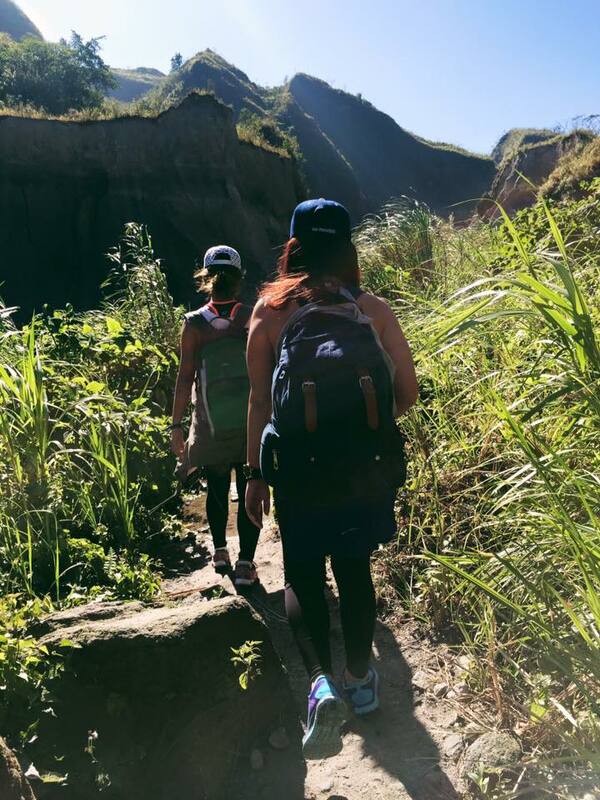 Take only the essentials to Mount Pinatubo so you can fully enjoy the experience without feeling strained by the things you're carrying. It is important that you hydrate yourself! It's going to be a mixture of hot, sweaty, and dry. You'll really feel dehydrated, so be sure you take enough water. TRIPinas suggests 1.5L of water. Depending on how much you think you need, I think 1.5-3L is a good range. I brought 2L, which was just enough to last me the whole day. It's not cold, but it does get rainy sometimes. If it doesn't rain at all during your trip there, this can also double as protection from the sun. You wouldn't want to experience the sunburn I got from forgetting to put sunblock! Yes, listen to me when I say bring sunblock and PUT IT ON. Ha! I made a huge mistake skimping on this and I am now paying for it with my patchy skin to that looks like a badly peeled potato. A scarf would also be fine if you don't want to get a dust mask. It's going to be really dusty and sandy during the 4x4 ride, so it would be good to be prepared. We could build a mini sandcastle from all the sand we collected on our clothes, bags, and even on our food(!!!). Good thing we were finished eating before our brunch got ruined. Sometimes, you'll need an extra kick to keep your energy levels. So bring snacks like chocolate and nuts to energize you. We were terrible and ate Ruffles. LOL. Kids, don't try it at home--err, I mean on the trek. Plus, don't forget to bring your packed lunch! Canned food would be the easiest to bring because you'll be sure they won't spoil. For us, however, what we did was we got cooked chicken and pork barbecue from a place nearby my friend's flat, and had that for brunch to share. You are allowed to setup a picnic at the crater lake shore, so you might as well enjoy it! Please don't forget to pick up after yourselves. Ask your guide where the trashbins are, or best, bring a bag for your trash and carry it back down with you until you find a bin to throw it in. Be a responsible guest. You are only visiting, so don't leave anything but footprints in the sand. As for what to wear to Mount Pinatubo? Whatever you're comfortable in. I would suggest activewear, though, such as leggings, sports bra, a top you're comfortable in. We switched between having a cover-up/top on to just the sports bra because of the heat, but wore long-sleeved shirts at some point, too.